Gentex has won a potential five-year, $95M contract to provide tactical headborne systems to the U.S. Special Operations Command. SOCOM received two offers for the indefinite-delivery/indefinite-quantity, firm-fixed-price contract via a full and open competition and obligated $150K at the time of award. The command is procuring ballistic and nonballistic variants for its Family of Tactical Headborne Systems as part of the Special Operations Forces Personal Equipment Advanced Requirements program. The company will perform work in Simpson, Pa., through April 2024. 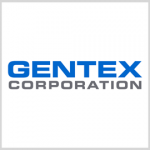 Gentex manufactures electronic products for aerospace, fire protection and automotive applications.